Grape polyphenols are known to protect neurons against oxidative stress. We used grape seed extract (GSE) from “Koshu” grapes (Vitis vinifera) containing a variety of polyphenols, and performed transcriptome analysis to determine the effects of GSE on primary cultures of astrocytes in the hippocampus. GSE upregulated various mRNAs for cytokines, among which interleukin-6 (IL-6) showed the biggest increase after treatment with GSE. The GSE-evoked increase in IL-6 mRNAs was confirmed by quantitative RT-PCR. We also detected IL-6 proteins by ELISA in the supernatant of GSE-treated astrocytes. We made an oxidative stress-induced neuronal cell death model in vitro using a neuron rich culture of the hippocampus. 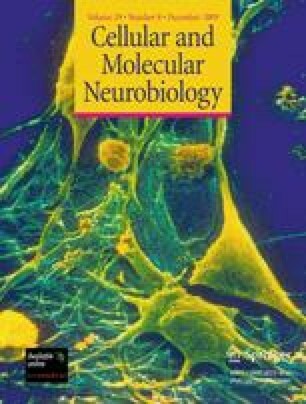 Treatment of the neurons with H2O2 caused neuronal cell death in a time- and concentration-dependent manner. Exogenously applied IL-6 protected against the H2O2-induced neuronal cell death, which was mimicked by endogenous IL-6 produced by GSE-treated astrocytes. Taken together, GSE acting on astrocytes increased IL-6 production, which functions as a neuroprotective paracrine, could protect neuronal cells from death by oxidative stress. We thank Dr. S. Maeda for critical reading and helpful support. This work was supported by a Univ. Yamanashi Grape polyphenols project from Ministry of Education, Culture, Sports, Science & Technology, a Grand-in-Aid for Scientific Research on Priority Area from Ministry of Education, Culture, Sports, Science & Technology, Japan (S.K. and K.F. ), a Grand-in-Aid for Scientific Research (B) from JSPS (S.K. and K.F. ), a Minamata disease project from Ministry of Environment of Japan (S.K.). S.K. was also supported by the Uragami Foundation and the Ono Foundation Japan.